FPE envisions itself as a dynamic, relevant and growing organization leading actions for biodiversity conservation and sustainable development (BCSD) towards healthy ecosystems and resilient communities. FPE commits to build constituencies and capacities for the environment, promote responsive policies and actions for biodiversity conservation and sustainable development, and effectively manage the endowment fund. Improve key conservation sites through community approaches and actions in 6 Priority Sites and other 21 conservation sites. EO5: Strengthen FPE as a high performing organization. The seed of FPE was sown in the soil of a newly recaptured democracy. The hands that sowed the seed are many, but they can be clustered into four major sectors: the Philippine government, Philippine NGOs and POs and their coalitions, the U.S. government, and U.S. NGOs. Having emerged from the dark years of the Marcos dictatorship, the government of President Aquino called on the various sectors of Philippine society to participate in governance. In government, some agencies took the call to heart, while others were more tentative and hesitant. Outside government, the people responded enthusiastically, forming thousands of non-government and people’s organizations, cooperatives and other sectoral aggregations espousing varied ideals and pursuing different objectives. As the decade of the 1980s drew to a close, concern was raised about preserving whatever gains the government and civil society had achieved in working together, albeit not always harmoniously, particularly on how to improve and sustain an environment protection agenda. An opportunity came when the Philippine government set out on a mission to seek further development assistance from the U.S. in late 1989. The Natural Resources Management Program (NRMP), to be implemented by the Department of Environment and Natural Resources (DENR), was then under discussion. Originally conceived as a purely policy support program, the NRMP had a small technical assistance budget which provided the venue to push for a substantial, hard cash component to further promote and assist civil society initiatives. The source of the larger cash component through the NRMP was to be a debt-for-nature swap, similar to but much bigger than the debt swap for the environment arranged earlier by the Philippine and U.S. governments, Haribon Foundation and the World Wildlife Fund-US (WWF-US). A debt-for-nature swap was officially tenable and acceptable: it would relieve the Philippines of part of its huge debt burden. Turning over the proceeds of such a swap to NGO management was seen to be ideal. For one, it would ensure the availability of funds specifically for the environment, something that would be difficult to do if the proceeds were incorporated into the national treasury and therefore available for different political expediencies. Two, it would expand the arena for environment protection to a larger community of stakeholders, which is where protection was believed to be most effective. Non-government and people’s organizations are not new in the Philippines. They have been a feature of the country’s socio-political life since the 1960s. But never had they received such official encouragement and financial assistance as they did in the years immediately after the EDSA Revolution of 1986. Such space and support enabled them to pursue their social development agendas in different fronts, and even engage the government along the way. Multi-faceted, heterogeneous, rambunctious, energetic and extensive, these groups, networks and coalitions were not about to cut short what they had begun. Moreover, there was a growing recognition of the need to protect the environment from the onslaughts of fast-paced and shortsighted development. But resources were needed to sustain their work, much more to embark on the challenging and largely uncharted task of environment protection. NGO and PO experience with government-channeled funding was not positive: funds were slow in coming and paperwork was voluminous. Sometimes, program direction was subject to political caprices, and therefore, unpredictable. Their leaders, therefore, saw the urgent need for their organizations to access funds independently of government, unfettered by official restrictions and political whimsy. Having witnessed the successful implementation of the first debt-for-nature swap in Southeast Asia, NGOs, led by Haribon Foundation, saw the distinct possibility of lobbying the U.S. Congress for a bigger debt swap and earmarking a portion of this directly to Philippine NGOs. This would ensure financial sustainability of the NGO and PO community while, at the same time, reducing Philippine official debt. Thus, in late 1989, environmentalists and NGO leaders formed the NGO counterpart of the Philippine Mission to the U.S. The Philippine Development Forum (PDF), a network of U.S.-based Filipinos and organizations from the environmental, development, religious and human rights communities, were convinced that part of the U.S. development assistance should be made directly available to smaller citizens’ groups. Formed after the “environment train” in which the NGO counterpart of the Philippine Mission took part, the PDF particularly lobbied the U.S. government to appropriate funds to a wholly Filipino institution that would support NGO initiatives in protecting the Philippine environment. Acting as the unofficial conduit for Philippine NGO and PO voices, the PDF transmitted to USAID Washington and USAID Manila their agenda and concerns. 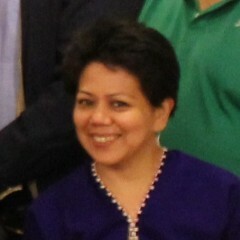 The agenda had three non-negotiable elements: 1) partnership of a Philippine NGO in the formation of that Filipino institution; 2) selection by Filipinos of that institution’s board of trustees; and 3) non-inclusion of “fraudulent” loans from the Marcos era, such as the loan for the Bataan Nuclear Power Plant. The Congress of the United States was not averse to the idea of a debt-for-nature swap in the Philippines. They had, after all, completed similar swaps with several governments of Central and South America. But they were not ready to transfer the proceeds of a sizable debt swap to non-government groups in the Philippines. Despite lobbies from Philippine NGOs and their allies in the PDF, and high-level representations by the Philippine government, the U.S. Congress insisted that WWF-US, a recognized U.S. NGO, handle the fund as interim trustee. On the other hand, the Philippine side of the negotiations preferred an entirely Filipino NGO to handle the fund. A compromise was reached: the Philippine Business for Social Progress (PBSP), a Philippine NGO, would work in partnership with WWF-US. A few months before Mrs. Aquino handed the reins of government to her successor, the Foundation for the Philippine Environment was born. Registered with the Securities and Exchange Commission on January 15, 1992, FPE is considered the largest Philippine grant-making institution outside of government for the environment and sustainable development. It was organized to help reverse the rapid destruction of the Philippine natural resource base through a strategic and integrated conservation program. FPE came into being after more than two years of lengthy and lively negotiations and contentious debates. But more work needed to be done to nurture it to maturity. “The objectives of this Convention…are the conservation of biological diversity, the sustainable use of its components and the fair and equitable sharing of benefits arising out of the utilization of genetic resources…taking into account all rights over those resources and to technologies, and by appropriate funding.” The Foundation for the Philippine Environment is one mechanism for funding biodiversity conservation in the Philippines. This is provided for in the Memorandum of Understanding among the Philippine and United States Governments and the Foundation signed in April 1993, which established the FPE Environmental Endowment: Article IV, 1.d. Why Natural Resource Management Program (NRMP)? “The NRMP was among the early big Official Development Assistances (ODAs) offered. This ODA was in reality for budgetary support, but it had to have a policy justification…We offered this policy (the logging ban) conditionally as the principal objective of NRMP…In return, we demanded our pound of flesh: a fifth of this assistance should really be spent to defend the policy. AND WE ASKED THAT THE MONEY BE SPENT BY NGOs IN PROJECTS. Excerpts from “Lessons from a Big Brother,” the Discussion Paper of Atty. Fulgencio S. Factoran, former FPE Chairperson, taken up at the Asia-Pacific National Environmental Funds Forum held in Cebu City, February 1997. “The decision to go for NGOs and POs is a deliberate one. NGOs and POs in the Philippines have shown a commitment to work on critical concerns, amongst difficulties and conditions of risk. They have shown innovativeness in their approach and flexibility in managing diverse situations. Their numbers are also increasing at a phenomenal rate thereby creating a substantial constituency for sustainable development. More importantly, NGOs and, more so, the POs, many of whom are proponents of grassroots empowerment, are the best bridge to reaching the communities, which are, in the final analysis, the best stewards of the country’s natural resources. Excerpts from “NGO/PO Needs Assessment and Situation Report on Environment and Sustainable Development in the Philippines: Inputs for FPE Strategies (1994)”, written by Delfin J. Ganapin, Jr., Ph.D., former Executive Director of FPE. FPE was created by and for the Philippine non-government organizations (NGOs) and peoples’ organizations (POs). In this way, FPE is broadly represented by the civil society groups who are deeply involved in the Foundation’s programs through the majority membership in the Board of Trustees and the participation in the three Regional Advisory Committees. The Board of Trustees, the highest governing body of FPE, is composed of 11 members from the NGO, PO, academe, and the private and government sectors. The Board has two members each from Luzon, Visayas and Mindanao regions, who all come from NGOs, people’s organizations, or academic institutions located in these regions; four at-large, who may come from any sector, including business, Church and interfaith groups, provided one is from an international NGO; and the eleventh, someone from the Department of Finance or Bangko Sentral ng Pilipinas, to represent the government. Once inside the Board, each member acts on his/her personal capacity, and should neither seek nor be expected to promote the interests of the organization he/she is affiliated with. The members of the Board of Trustees are also members of the Foundation. Once their term as trustees ends, his/her membership to FPE ends, except for the chairperson, who becomes a permanent member of FPE. To be able to imbue the organization with continuity and institutional memory, which is of great import to governance and policy-making, the FPE governance structure was amended. The governance structure of FPE would now include the former chairpersons of the Board, who have served complete four-year terms. They would become the permanent members of FPE. This amendment was submitted to and approved by the Board and RAC at the March 2005 meeting. The task of the permenent members are specific: to elect incoming members of the FPE Board of Trustees, along with the incumbent Board, during the annual membership assembly. They could also be asked for advise on governance issues and policy directions from time to time. The Regional Advisory Committees (RACs) are part of the governance structure of FPE. Only they have the responsibility of nominating individuals to the Board of Trustees. They also advise the Board in policy-making, program development and governance. They provide the crucial link between the Board and the regions from which they come by apprising the Board of the issues, concerns and affirmative actions of the CSOs; they provide the “grounding” necessary for relevant policy decisions. Just like the Board members, RAC members act on their individual capacity once they are inside the RAC, and should neither seek nor be expected to promote the interests of theie mother organization. It is the Board who determines the number and term of the RACs and confirms ite members from a list of nominees gathered at the regional consultative group meetings. There are three RACs, one each for the main regions of Luzon, Visayas and Mindanao. Each RAC has 15 members.The Board gave the RAC a free hand in developing their composition and rules of membership, and approved the same in 1998.